After success in several major cities in Indonesia, CareerBuilder Indonesia will hold Job Fair event "Career and Higher Education Fair 2015". 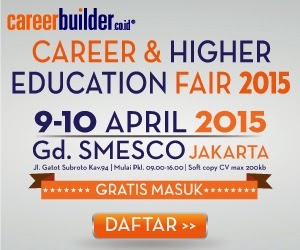 Located in SMESCO Jakarta, CareerBuilder will return to repeat the success of such job fair events earlier. Working closely with the Dinas Tenaga Kerja & Transmigrasi, CareerBuilder want to contribute as a media that bridges between the jobseekers and company, with not take a charge (FREE) for job seekers who want to attend to "Career and Higher Education Fair 2015 ". This event will be held on 9-10 April 2015 in SMESCO Building, Jalan Gatot Subroto Kav. 94, South Jakarta, which will start from 09.00 am until 16.00 pm. This event will be followed by dozens of national and multinational companies from various industries, such as ASTRA International Tbk, AXA Financial, BCA Insurance, Indomaret Group, MNC Play Media, JAC Indonesia, Asuransi Jiwa Manulife, Bank Bukopin, Citibank, Andalan Finance, Indonesia, and many more –Who will seeking a qualified candidates, either the high school graduates, Diploma or Degree. In addition to holding the Career Fair, CareerBuilder Indonesia will also give a Higher Education Fair, namely training and workshops for job seekers who attend and wish to continue their education to a higher level. Here will be presented by the speakers, experts and practitioners of high-quality and competent to provide training and briefing about the career achievement through the development of better education levels. To provide a convenience for jobseekers, CareerBuilder Indonesia also offers free line named "Jalur Bebas Antrian”. 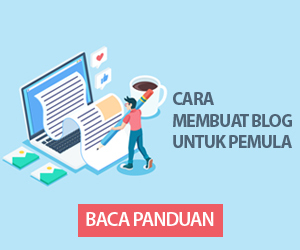 This line can be used for jobseekers who want to avoid a long queues entry can do simply online registration by visiting www.cbfair.co.id and then register yourself in accordance with the instructions. For jobseekers who have registered with these way will get a free line ticket, which will be sent via e-mail that has been registered. So let’s update and renew your CV and resume, then prepare yourself as best as possible to come to the Career and Higher Education Fair 2015. We are waiting for you all in the presence of SEMSCO Building Jakarta.